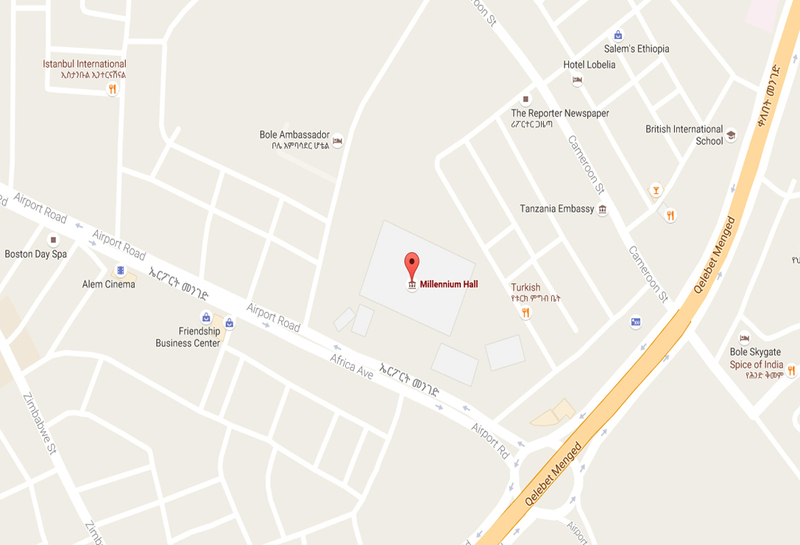 The Millennium Hall is located in down town Addis, few blocks from Bole International Airport, at the mature and vibrant city center. The Hall is equipped with modern and state-of-the-art sound and light effect technologies as well as exhibition materials to meet the needs of modern conventions. Hotels ranging from four star to luxury collection are at a 5-10 minute drive from the hall.